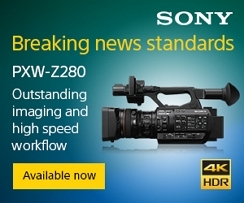 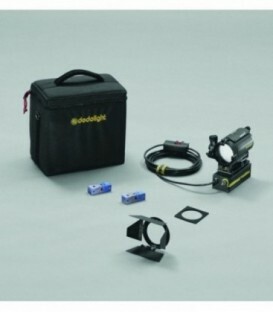 The first light designed expressly to meet the special require-ments of ultra high speed film making and videography. 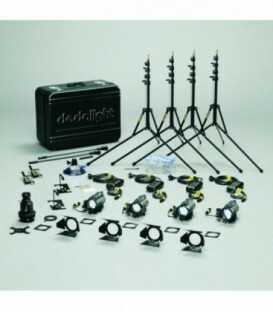 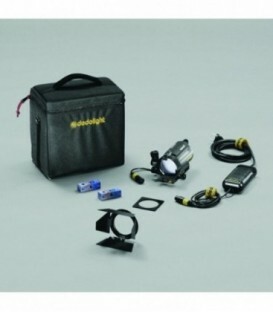 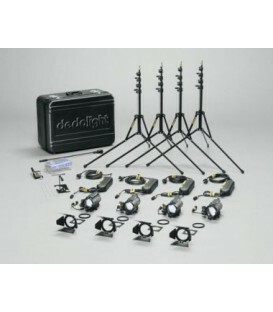 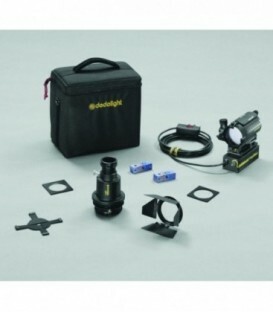 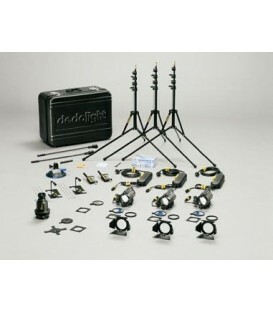 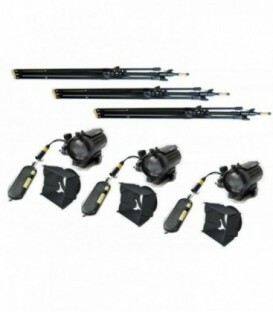 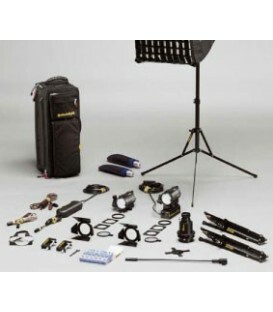 Dedolight Dedocool Standard 2-Light Kit. 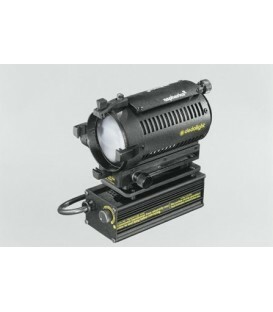 Concentrated Light in a Small Fixture - Dimmable - Max 500W - Reduced Heat Fixtures - Multi-Voltage. 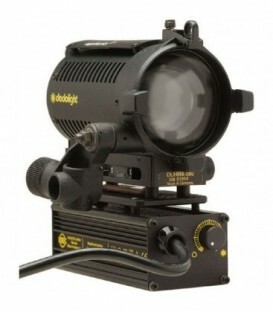 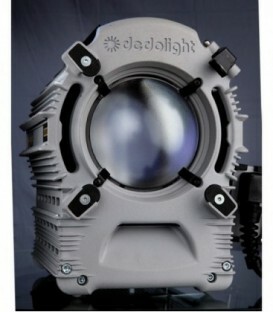 The fourth generation DLH4 light head is the single - best selling professional - precision light source in the world. 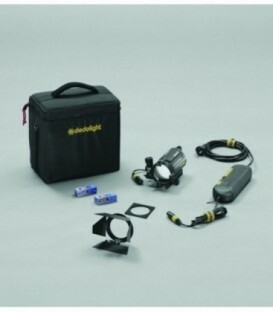 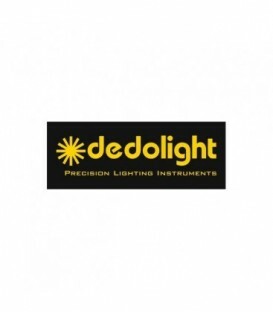 The self contained Dedolight DLHM4300 works with an integrated electronic power supply combining. 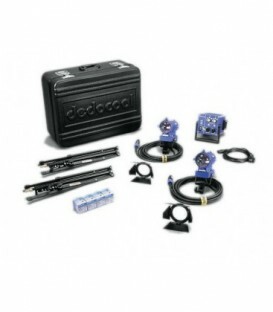 European cable. 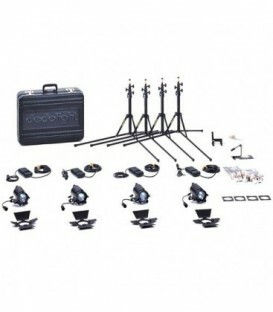 4 Light head Aspherics - 4 Dimmable electronic power supply - 4 Barn door - 4 Stands - 1 Wallholder - 1 Clamp - 6 Halogen lamp 12V 100W - 1 Plastic box and Transport hard case. 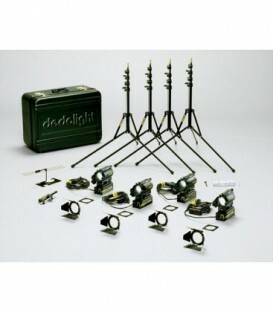 Four DLH4 light heads work with dimmable - in-line - electronic DIMTA3 power supplies and 12 V / 100 W DL100 lamps. 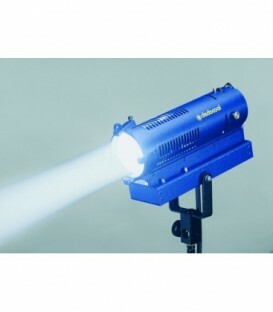 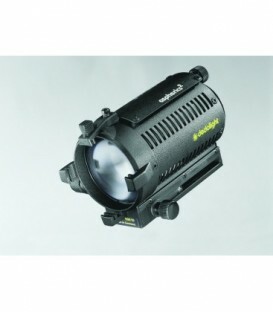 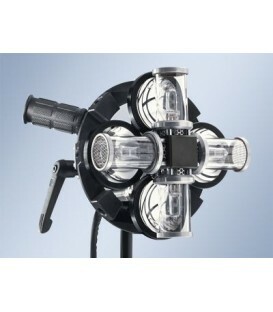 Light head - 24 V / 150 W tungsten - with built-in transformer - DMX control and 3 m (9.8 ) European cable.